Each iEARN (International Education and Resource Network) Annual Conference and Youth Summit is a unique opportunity for educators, students, administrators, Ministry officials, non-profit, and corporate partners, to meet and discuss how they are using technology to build global understanding and enhance teaching and learning. The Annual iEARN Conference and Youth Summit showcases educational technology activities, school partnerships, new Internet-based professional development tools, innovative curricula, and the collaborative efforts of youth and educators participating in the network. In addition to educator and youth led workshops, the six-day event also features cultural excursions, cultural nights, and presentations by Ministries of Education, businesses, and educational organizations eager to form partnerships with iEARN schools. We encourage all who want to make their education programs more global, and who believe that students can make a difference in the world when they work together on collaborative online projects, to join this global gathering. 2011 marks iEARN's 23rd anniversary as an international network, and iEARN-Taiwan's 10th anniversary as a national organization. Previous iEARN Conferences were held in Argentina (1994), Australia (1995), Hungary(1996), Spain (1997), USA (1998), Puerto Rico (1999), China (2000), South Africa (2001), Russia (2002), Japan (2003), Slovakia (2004), Senegal (2005), the Netherlands (2006), Egypt (2007), Morocco (2008), and Canada (2010). If you would like to submit a proposal for a workshop, poster session, or ICT demonstration session, please submit your proposal in the Session Application section under the Program tab of www.iearn2011.org. In order to apply for a workshop session, you must first register. Payment is not required upon registration. At this year's iEARN Conference, in addition to general workshop presentations, there also will be an academic paper strand. Theoretical and practical papers enhancing environmental and international education inside and outside of schools are welcome. We also accept educational and technical articles and ready-to-use learning activities. Visit www.iearn2011.org -> Program -> Academic Paper for more information about the process for submitting an academic paper. We look forward to seeing you in Taiwan in July! iEARN (International Education and Resource Network) is a non-profit organization made up of over 30,000 schools and youth organizations in more than 130 countries. iEARN empowers teachers and young people to work together online using the Internet and other new communications technologies. Over 2,000,000 students each day are engaged in collaborative project work worldwide. Since 1988, iEARN has pioneered on-line school linkages to enable students to engage in meaningful educational projects with peers in their countries and around the world. 4 февраля 2011 года на базе интернет-центра Республиканской научно- технической библиотеки Образовательное Сообщество Международной образовательной сети iEARN-Belarus организовало семинар-практикум Программы «Adobe Youth Voices» на тему: «Новые ресурсы iEARN и их использование в школьной практике» для педагогов, принимающих в 2010-2011 учебном году участие в дистанционных курсах профессионального развития. В семинаре приняли участие учителя из Минской гимназии № 19, Минской средней школы № 19, Слонимской гимназии № 1 (Гродненская область), Дятловской гимназии № 1 (Гродненская область), Браславской гимназии (Витебская область). 1. Sign up now for the next session of iEARN Learning Circles. 2. Want to communicate and collaborate on projects in German? 3. Share your designs in the Origami Project. 4. 2010-2011 iEARN Project Book now available in Arabic. 5. Over 200 classrooms in 30 countries are exchanging cards in the Holiday Card Project. 6. World Youth News launches MDG Reporting Labs with UNICEF and the PBS NewsHour Extra. 7. Second issue of iEARN-Egypt Alumni iEXPRESS Magazine published. 8. Register now for next session of iEARN-USA's Online Professional Development Courses, February 25-April 24 2011. 9. iEARN teams in Slovenia and Netherlands gathering in Slovenia for Global Teenager Workshop, December 16-17, 2010. 10. iEARN-Romania to host Adobe Youth Voices workshop in Bucharest, December 17-18, 2010. 11. 2011 iEARN Annual Conference and Youth Summit in Kaohsiung, Taiwan, July 17-23, 2011. 12. 2011 iEARN Natural Disaster Youth Summit in Kaohsiung, Taiwan, July 17-23, 2011. 13. VI Jornada D-Educacio I Telecomunicacions - Tools to Transform Education All Day Meeting, hosted by iEARN-Pangea, December 11, 2010. Download the 2010-2011 iEARN Project Book [ now available in Arabic, Chinese, English, French, and Korean ] or view full listing of iEARN projects. 2. SEEKING GERMAN LANGUAGE LEARNERS FOR PROJECT PARTNERSHIPS. Mona Goble, German teacher in the USA writes, "I am looking for a middle school class (age 12-14) outside of the US (preferrably in Asia, India, or the Middle East) that is learning German at the beginner level. I would like to collaborate with this class on a common project in English and German in order to build relationships, to clear up stereotypes and cultural or political misconceptions, and to form friendships." Interested? Connect in the new iEARN Beginner German Language Forum. 3. ORIGAMI PROJECT. This is a project that provides children much entertainment as they see the changes from a sheet of paper into a three-dimensional object. It does not take much space, much money, or much time, but a sheet of paper and instructions on how to fold. Check out recent contributions from Canada, Japan, and Pakistan. Connect to the forum and learn more on the iEARN Origami Project Page. 4. 2010-2011 iEARN PROJECT BOOK NOW AVAILABLE IN ARABIC. Thank you to the iEARN-Oman team for the translation! Click here to download this and other language versions. 5. OVER 200 CLASSROOMS IN 30 COUNTRIES ARE PARTICIPATING IN THE HOLIDAY CARD PROJECT. In 2010, as part of the iEARN Holiday Card Project over 200 classrooms in 30 countries are designing and exchanging holiday cards celebrating the holidays that communities in their country celebrate, including Chinese New Year, Christmas, Hanukkah, Kwanzaa and Eid greeting cards. The project started in 2006, and runs each year between August - January. Through the organization of Judy Barr (Australia), Holiday Card project facilitator, classes have been placed in groups with approximately seven other schools and are using postal mail and iEARN's online Collaboration Centre to connect, celebrate, and learn together. Registration for the project is now closed for this year but will start again in September 2011. Read more and connect on the Holiday Card Project Page. Watch a short video of some of the participants! 7. SECOND ISSUE OF iEARN-EGYPT ALUMNI iEXPRESS MAGAZINE PUBLISHED. See www.iearnegypt.org/iexpress. iEXPRESS is published by iEARN-Egypt youth, and features articles and creative writing from around the iEARN network. 8. REGISTER NOW FOR NEXT SESSION OF iEARN-USA'S ONLINE PROFESSIONAL DEVELOPMENT COURSES, FEBRUARY 25-APRIL 24, 2011. iEARN-USA's 8-week interactive online professional development courses are a step-by-step guide to integrating an international collaborative project into your classroom. Courses are open to educators from around the world. Facilitators will help educators select and develop a project plan that meets their curriculum and educational standards. Courses start February 25th, 2011. We recommend you enroll as soon as possible because there are only 25 places available per course. Scholarships and professional development credits are available. Learn more and register now! 9. iEARN TEAMS IN SLOVENIA AND NETHERLANDS GATHERING IN SLOVENIA FOR GLOBAL TEENAGER WORKSHOP, DECEMBER 16-17, 2010. Darja Znidarsic from Slovenia and Bob Hofman from Netherlands are organizing a teacher training for Slovenian teachers of all levels from primary schools to faculties. Participants will study the Global Teenager Project possibilities and advantages for learning and teaching, and will also look at developing Slovenian Learning Circles. Thank you to the Slovenian National Agency and Slovenian Ministery of Education for their support. 10. iEARN-ROMANIA TO HOST ADOBE YOUTH VOICES WORKSHOP IN BUCHAREST, DECEMBER 17-18, 2010. A face-to-face Adobe Youth Voices national workshop will be organized at "Elena Cuza" National College in Bucharest. The workshop will be organized by Cornelia Platon, AYV Project manager in Romania, and the activities will be co-facilitated by Mihaela Runceanu (AYV course co-facilitator) and Dana Vaida, former participants in the AYV course in 2009. Watch the iEARN/AYV WordPress blog for news. For ideas on integrating Adobe Youth Voices activities in the classroom, see the Adobe Youth Voices Essentials site. 11. iEARN-TAIWAN TO HOST THE 18TH ANNUAL iEARN CONFERENCE AND 15TH ANNUAL YOUTH SUMMIT, JULY 17-23, 2011. The theme will be "Green Tech, Green Life, Great Era." iEARN-Taiwan announces "We are thrilled to invite all to Kaohsiung, Taiwan to join the 18th International Conference and 15th Youth Summit. Taiwan is a beautiful island with environmental and cultural diversity. Our foods, night markets and fruits are something you don't want to miss! 2011 iEARN Annual Conference will be held in the 2nd biggest city of Taiwan, Kaohsiung City. Kaohsiung is a charming harbor city with its hospitable citizens, pleasant subtropical climate and gentle ocean breeze. Come to explore the passion and vitality of Taiwan!" See a video preview, download a brochure, and stay tuned to the 2011 iEARN Conference Website for details. 12. iEARN NATURAL DISASTER YOUTH SUMMIT 2011 TO BE HELD IN CONJUNCTION WITH iEARN CONFERENCE AND 15TH ANNUAL YOUTH SUMMIT, JULY 17-23, 2011. Natural Disater Youth Summit Project is a year-round project in which students learn how to cope with natural disasters such as earthquakes, volcanic eruptions, wildfires, floods, hurricanes, landslides, tsunamis, and droughts through communication and collaboration with global friends. Activities include: 1. “Global Disaster Safety Map” program. Students create a Disaster Safety Map of their school’s surrounding areas. 2. NDYS Teddy Bear Exchange and Kid’s Safety Bag. As a subsidiary program, NDYS Teddy Bears (NDYS Little Ambassadors) are exchanged between partner schools to strengthen friendly bonds among participants. Each School can make Kid’s Safety Bag (Emergency bag), too. 3. Discussion, Exhibition and Oral Presentation. Theme: Climate Change and Disaster Reduction. As the final event of the project, we will gather at the 18th Annual iEARN Conference and 15th Annual Youth Summit in Taiwan in July 2011 for an exhibition of maps and oral presentations. Through this program, students will grow as global citizens who take actions and share their knowledge of disaster management to local people. 4. In addition to the above activities, schools are invited to submit original activities related to disaster reduction or climate change. 1. Join School Uniform Project Videoconference, November 26th. 2. Last chance to register for Holiday Card Exchange Project. 3. iEARN Collaboration Centre will be offline for maintenance, November 20th. 4. iEARN and dotSUB collaborating to create first video subtitled into 100 languages. 5. Connect with iEARN participants in Online Global Education Conference, Nov 15-20, 2010. 6. 2011 iEARN Annual Conference and Youth Summit in Kaohsiung, Taiwan, July 17-23, 2011. 7. 2011 iEARN Natural Disaster Youth Summit in Kaohsiung, Taiwan, July 17-23, 2011. 8. High School Journalism Education Program Workshop, Kuwait City, Kuwait, Oct 31-Nov 4, 2010. 9. Mongolia Emerging Youth Leaders Workshop, Ulaanbaatar, Mongolia, Nov 8-10, 2010. Download the 2010-2011 iEARN Project Book [ now available in English, French, and Korean ] or View full listing of iEARN projects. 1. JOIN SCHOOL UNIFORM PROJECT VIDEOCONFERENCE, NOVEMBER 26TH. Students are invited to exchange their school uniforms (or other school tokens) and share information about their schools, including its history and culture. Through their exchanges with other schools, students will be encouraged to explore the identity of their own schools. As a way for participants to meet live and exchange information, facilitators are planning a videoconference on November 26th using Elluminate. To learn more about the project, visit the iEARN School Uniform Project Page. For more info about the videoconference, and to register, login to the School Uniform Project Forum. 2. HOLIDAY CARD EXCHANGE PROJECT. A project in which teachers and students prepare an envelope with holiday cards to send to the other participants between October - December. Participants can chose to send cards related to the holiday(s) they celebrate, for example, Chinese New Year, Christmas, Hanukkah, Kwanzaa or Eid greeting cards. Each school will be placed in a group with approximately seven other schools and will prepare either handmade or purchased cards (decorations may be included) to send to each of the other schools. Please note - This project involves postal mailings, so participants are encouraged to plan ahead to estimate whether associated costs are within their budget. Read more on the iEARN Holiday Card Project Page. There are still some schools awaiting partners. Interesting in registering? Login to the Holiday Card Project Forum. 3. SCHEDULED DOWNTIME FOR iEARN COLLABORATION CENTRE: Please note that the iEARN Collaboration Centre will be offline on November 20, from approximately 12:00 GMT - 24:00 GMT for routine maintenance. 4. iEARN AND dotSUB COLLABORATING TO CREATE FIRST VIDEO SUBTITLED INTO 100 LANGUAGES. 22 iEARN schools in 20 countries have created an amazing video of the Earth Charter: Values & Principles for a Sustainable Future (EarthCharter.org). View it here. Our iEARN goal is for this video to be the first ever translated/subtitled into 100 or more languages, ALL done by students & teachers. What would it mean to you and your school to be part of this historic milestone in our world's history? Want to help translate the video subtitles? dotSUB is a web-based tool that makes it very easy and quick to add subtitles to any video. So far, the video has been translated into 13 languages: Arabic, Bengali, Chinese, English, Ganda (Luganda), Hebrew, Hindi, Japanese, Lithuanian, Persion (Farsi), Polish, Portuguese, and Turkish. To participate and add your language, write to video@us.iearn.org. Creating a Culture of Peace Through Global Education: Some Lessons Learned, Ed Gragert (iEARN-USA). GMT: Mon 15 Nov 03:00PM. In the decades ahead, hopefully more and more schools will integrate the world into all parts of their curriculum. As they do so, they will need successful models of what has worked in diverse settings and environments. In this effort, educators and administrators should look beyond issues of global competitiveness as the main purpose behind building awareness and engagement with the world. Over the last 22 years, iEARN has learned many lessons about building a successful and sustainable global educational communities. In this presentation, I will share what I consider to be the five key components for replication across the country. More Info and Link to Session. Teacher's Guide to International Collaboration on the Internet, Diane Midness (iEARN-USA), Ray Myers (U.S. Department of Education), Adrienne Michetti (USA). GMT Mon 15 Nov 2010 10:00PM. The Teacher's Guide to International Collaboration was developed to help teachers use the Internet to "reach out" globally. These materials were prepared as part of the United States of America Department of Education's International Education Initiative. On these pages, teachers will find many projects and suggestions to begin or expand classroom projects that reach across the globe and enable students to learn WITH the world, as well as about it. This session will go over the resources that are available on the newly revised pages to help prepare teachers and students for international collaboration. Met some of the facilitators of projects featured in the guide. More Info and Link to Session. Enhancing Teaching Effectiveness Through Global Partnership, Rimma Zhukova, School 16 (iEARN-Russia). GMT Tue 16 Nov 2010 12:00PM. This presentation introduces educators to global collaborative activities through IEARN project based tools. The presentation also describes one of online Teachers Professional Development courses as a means enhancing 21st century teaching effectiveness. The presentation introduces worldwide educators to Adobe Youth Voices (AYV), a global philanthropy program which engages young people around the world to “create with purpose”. More Info and Link to Session. 21st Century Youth Voices, David Potter (iEARN-USA), Farah Kamal (iEARN-Pakistan), Prairie Summer (Equal Access International (EA). GMT Tue 16 Nov 2010 04:00PM. iEARN and Equal Access International (EA) are two leading education and youth empowerment organizations that provide resources and experience to design and implement an innovative youth media projects worldwide. The partners invite educators and media professionals to an open discussion on models of youth journalism and media production and literacy—print, video, radio, mobile/SMS, and online—to support community service, environmental issues, employment and vocational training, women’s rights/human rights, health and civic engagement. More Info and Link to Session. Integrating Media into a Classroom: A case study of the Adobe Youth Voices Project, Allan Kakinda (SchoolNet/iEARN-Uganda), Lisa Jobson (iEARN-USA). GMT Tue 16 Nov 2010 07:00PM. Adobe Youth Voices (AYV) is Adobe Foundation’s signature philanthropy program designed to provide youth in underserved communities with the critical skills they need to become active and engaged members of their communities and the world at large. The program enables young people use multimedia and digital tools to Create Media with Purpose. http://youthvoices.adobe.com/. This session, led by participants in iEARN (International Education and Resource Network), http://www.iearn.org an Adobe Youth Voices partner organization, will introduce and demonstrate the implementation process of AYV as a model of incorporating youth-produced media and media-making into a classroom. More Info and Link to Session. Join an international Learning Community: iEARN Professional Development Opportunities, Mandee Galbraith (iEARN-USA), Diane Midness (iEARN-USA). GMT Tue 16 Nov 2010 10:00PM. Would you like to be more prepared to help your students become global citizens while becoming part of an international learning community yourself? This session will address the growing importance of international education and explore iEARN professional development opportunities for educators including online courses and webinars. Online courses offered across the curriculum allow educators to collaborate and share their cultural background and professional experience with their peers around the world to make teaching and learning more effective and more fun! iEARN webinars, thanks to a generous donation from Elluminate, allow educators and administrators to interact over the Internet in order to learn how to enhance their online global project work and navigate the iEARN online Collaboration Centre. More Info and Link to Session. Learning With the World...Project Based Global Collaborations, Jim Carleton/Mali Bickley (iEARN-Canada). GMT Wed 17 Nov 2010 12:00AM. This workshop will inspire and encourage educators and administrators to engage their students in Global Collaborative Projects using Information and Communications Technologies. By using examples of students’ projects, interactions, artifacts and collaborations between students and their global partners, it will become evident that these connections are beneficial and inspirational for all parties involved. Each project is solidly based in curriculum and embeds technology in a meaningful and engaging way to encourage students to communicate, collaborate and share while discussing global issues to affect global change. More Info and Link to Session. NSLI-Y and iEARN: Exposing U.S. High School students to a lifetime of language learning, Curtis Young (iEARN-USA, Dina Guirguis (iEARN-USA). GMT Wed 17 Nov 2010 11:00PM. The NSLI-Y program offers scholarships (from the State Department) to U.S. high school students wishing to go abroad to study less commonly known languages. As a program partner, iEARN-USA administers summer and yearlong intense language learning programs in Morocco, India, Korea and China. In addition, iEARN-USA harnesses the strength of our global network to provide scholars with access to Language Lounges -- an online interactive space where students can practice reading and writing their language of study before, during, and after their physical exchange. Through the Language Lounges, NSLI-Y students have access to thousands of native speakers of each of the seven NSLI-Y languages, who are part of the iEARN network around the world. More Info and Link to Session. Street Foods: Contribution to Food and Nutrition Security, Priscilla Nzamalu, Network for Ecofarming in Africa (NECOFA) (Kenya). GMT Thu 18 Nov 2010 08:00AM. Street Food: Contribution to Food and Nutrition Security. What are Street Foods? Street foods consist of locally available food stuff prepared at home or in the streets and sold openly in the streets or along house/shop corridor. They are common in most countries in the world and mostly cheaper than hotel foods in large cities. Such are roasted sweet potatoes, wheat snacks, potato chip and crisps. Who is the main target? Street foods are affordable to low income earners but also attract the pockets of highly paid persons due to their freshness. However, most street foods are exposed to unhygienic conditions and may not be the best to healthy life. Considering that "We are what we eat" where eating is an agricultural act and a political statement, "Our eating daily meal can change the world"! More Info and Link to Session. My Identity, Your Identity Culture Project: Global Online Collaboration in Action, Nicolle Boujaber-Diederichs, Cypress Creek High School (iEARN-USA), Said Belgra (iEARN-Morocco). GMT Thu 18 Nov 2010 10:00AM. The presentation/discussion "My Identity, Your Identity Culture Project: Global Online Collaboration in Action" will focus on the structure, content and benefits of the online web forum project--My Identity, Your Identity. By using the iEARN (International Education and Resource Network) online platform, this project encourages students to explore and research the elements that form their identities and share their findings with students in other countries. The project helps students realize the importance of their traditions and value of their culture in their country and how the students participating from different countries are more the same than different. Participating countries include: Oman, USA, Azerbaijan, Morocco, Turkey, Indonesia, Uganda, France etc. More Info and Link to Session. One Day in the Life Project, Chris Baer, MEd, Martha's Vineyard Regional High School, Oak Bluffs, MA (iEARN-USA), Marta García Lorea (iEARN-Argentina). GMT Thu 18 Nov 2010 01:00PM. What do you ... ...eat for breakfast in Yemen? ...take to school in Bangladesh? ...sing at a birthday party in Azerbaijan? ...do in your free time in your country Photography teacher Chris Baer, USA, and EFL teacher trainer and author Marta García Lorea, Argentina, will suggest some simple online projects in which Students communicate directly with their peers abroad using forums, email, social networks, and videoconferences. Chris and Marta will specifically highlight iEARN’s ‘One Day in the Life’ project, in which students from 125 countries share their lives in writing, photography, video, powerpoints, and other media by documenting details of a typical day (like visiting the grocery) or a special day (like a birthday.) By sharing and discussing life’s daily routines with students from around the world in a safe, monitored online environment, students promote a better understanding and respect of other cultures in the spirit of 'sharing, caring and respecting'. More Info and Link to Session. Digital Imaging Across Curriculum, Alema Nasim (iEARN-Pakistan). GMT Thu 18 Nov 2010 02:00PM. This presentation will introduce different iEARN collaborative projects that utilize Digital Imaging for final products and their impact on students learning through Global sharing and collaboration. More Info and Link to Session. Online Summer Camp! Dua Ali Syed (iEARN-Pakistan), Humayun Ansari (iEARN-Pakistan). GMT Thu 18 Nov 2010 03:00PM. The presentation will introduce a project initiated by iEARN-Pakistan, which allows youth to become a part of a new concept in summer fun – The Online Summer Camp. It will also emphasize on importance of preparing children to collaborate with others around the World. It will focus on how to provide an affordable and fun online learning environment to introduce and challenge youth to virtual course content via the internet, allowing them to create, communicate and collaborate with others while engaging them in their own learning using web 2.0 tools. More Info and Link to Session. Active Citizens, Nana Kow Acquaye (iEARN-Ghana). GMT Fri 19 Nov 2010 06:00AM. Active Citizenship concerns everyone. We all have rights and responsibilities, and shared national, continental and global interests. Strong and healthy communities welcome diversity in cultural expression, values and lifestyles. Active Citizenship refers to the voluntary capacity of citizens and communities working directly together or through elected representatives to exercise economic, social or political power in pursuit of shared goals. More Info and Link to Session. A Full Understanding of the Working of the Global Education Process, Gia Gaspard Taylor (iEARN-Trinidad and Tobago), Abe Fergusson (iEARN-Trinidad and Tobago). Not Yet Scheduled. To be able to grasp a full understanding of the working of the global education process, and to allow for the sharing with teachers and student particularly in the rural communities. More Info and Link to Session. Students' contribution to maintain World Heritage, Rohan Perera (iEARN-Sri Lanka). Not Yet Scheduled. How students can contribute to maintain world heritage. More Info and Link to Session. 6. iEARN-TAIWAN TO HOST THE 18TH ANNUAL iEARN CONFERENCE AND 15TH ANNUAL YOUTH SUMMIT, JULY 17-23, 2011. The theme will be "Green Tech, Green Life, Great Era." iEARN-Taiwan announces "We are thrilled to invite all to Kaohsiung, Taiwan to join the 18th International Conference and 15th Youth Summit. Taiwan is a beautiful island with environmental and cultural diversity. Our foods, night markets and fruits are something you don't want to miss! 2011 iEARN Annual Conference will be held in the 2nd biggest city of Taiwan, Kaohsiung City. Kaohsiung is a charming harbor city with its hospitable citizens, pleasant subtropical climate and gentle ocean breeze. Come to explore the passion and vitality of Taiwan!" See a video preview, download a brochure, and stay tuned to the 2011 iEARN Conference Website for details. 7. iEARN NATURAL DISASTER YOUTH SUMMIT 2011 TO BE HELD IN CONJUNCTION WITH iEARN CONFERENCE AND 15TH ANNUAL YOUTH SUMMIT, JULY 17-23, 2011. Natural Disater Youth Summit Project is a year-round project in which students learn how to cope with natural disasters such as earthquakes, volcanic eruptions, wildfires, floods, hurricanes, landslides, tsunamis, and droughts through communication and collaboration with global friends. Activities include: 1. “Global Disaster Safety Map” program. Students create a Disaster Safety Map of their school’s surrounding areas. 2. NDYS Teddy Bear Exchange and Kid’s Safety Bag. As a subsidiary program, NDYS Teddy Bears (NDYS Little Ambassadors) are exchanged between partner schools to strengthen friendly bonds among participants. Each School can make Kid’s Safety Bag (Emergency bag), too. 3. Discussion, Exhibition and Oral Presentation. Theme: Climate Change and Disaster Reduction. As the final event of the project, we will gather at the 18th Annual iEARN Conference and 15th Annual Youth Summit in Taiwan in July 2011 for an exhibition of maps and oral presentations. Through this program, students will grow as global citizens who take actions and share their knowledge of disaster management to local people. 4. In addition to the above activities, schools are invited to submit original activities related to disaster reduction or climate change. 8. HIGH SCHOOL JOURNALISM EDUCATION PROGRAM WORKSHOP, KUWAIT CITY, KUWAIT, OCTOBER 31-NOVEMBER 4, 2010. Educators from five schools in Kuwait attended a week-long journalism workshop facilitated by faculty from Northwestern University in Qatar. The training launched the MEPI-sponsored High School Journalism Education Program, which pairs schools with local journalist-mentors. During the workshop, teachers discussed the tools and principles of digital journalism, and planned how to start or improve their school news publications. Read press coverage. 9. MONGOLIA EMERGING YOUTH LEADERS WORKSHOP, ULAANBAATAR, MONGOLIA, NOVEMBER 8-10, 2010. iEARN-USA, in partnership with United Planet and the Mongolian Education Alliance (MEA), hosted a three-day workshop for its Emerging Youth Leaders Program. Teachers from 10 schools across Mongolia gathered in Ulaanbaatar for a training on community journalism and civic engagement. See photos. 1. Tagging My World Project seeking partners to share teen culture through art. 2. 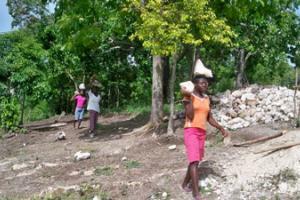 World Food Day is October 16th - join in related Finding Solutions to Hunger Project activities. 3. Looking for participants for "Inventing the Future: Leadership and Participation for the 21st Century" Project. 4. Interested in using movies in the classrooms? 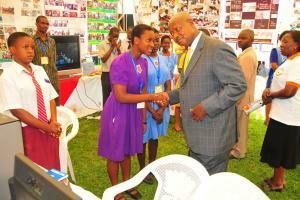 5. iEARN-Uganda Adobe Youth Voices participants meet the President of Uganda. 6. Free online course on how to inspire students to be social entrepreneurs with a global perspective. 7. Tomorrow's Leaders Scholarship Program for students in Middle East and North Africa. 8. Adobe Youth Voices Workshop and Exhibition in Cordoba, Argentina, October 21-23, 2010. 9. High School Journalism Education Program Workshop, Kuwait City, Kuwait, October 31-November 4, 2010. 10. Mongolia Emerging Youth Leaders Workshop, Ulaanbaatar, Mongolia, November 8-10, 2010. 11. Connect with iEARN participants in Online Global Education Conference, November 15-20, 2010. 12. 2011 iEARN Annual Conference and Youth Summit in Kaohsiung, Taiwan, July 17-23, 2011. 13. 2011 iEARN Natural Disaster Youth Summit in Kaohsiung, Taiwan, July 17-23, 2011. 14. iEARN Teachers' Training Workshop, Dhaka, Bangladesh, October 8-9, 2010. Download the 2010-2011 iEARN Project Book [ UPDATE -> iEARN Project book now available in French! Thanks to iEARN-Mali! ] or View full listing of iEARN projects. 1. TAGGING MY WORLD PROJECT LOOKING FOR PARTNERS TO SHARE TEEN CULTURE THROUGH ART. Teenagers around the world are invited to explore their identity on a personal and/or cultural level, investigating and expressing an aspect of teen life through creative arts. Timelines are flexible. Learn more and connect to the project forum on the iEARN Tagging My World Project Page. 2. WORLD FOOD DAY IS OCTOBER 16TH - JOIN FINDING SOLUTIONS TO HUNGER PROJECT FOR YEAR-ROUND ACTION TO ALLEVIATE HUNGER. World Food Day is coming up on October 16th. World Food Day is a worldwide event designed to increase awareness, understanding and informed, year-around action to alleviate hunger. Check out one of these websites for more information and resources: www.worldfooddayusa.org and www.fao.org/getinvolved/worldfoodday/en/. As part of the Finding Solutions to Hunger Project in iEARN, participants are encouraged to take a picture of a plate of food, a typical meal in your daily life, and upload it on the forum. Tell others what it is and where it's from. If you are able, find out how many calories are in this meal and post that information also. We can learn a lot about each other through the foods we eat. After posting photos of your food, view the photos others have posted and ask questions of each other to find out what is typically eaten for different meals where they live, where do they get the food, who prepares it, and other things you'd like to know. Learn more and connect to the project forum on the iEARN Finding Solutions to Hunger Project Page. 3. LOOKING FOR PROJECT PARTICIPANTS FOR "INVENTING THE FUTURE: LEADERSHIP AND PARTICIPATION FOR THE 21ST CENTURY" PROJECT. The Cloud Institute for Sustainability Education is collaborating with iEARN-USA to challenge students to become leaders of a sustainable local and global community via a multi-part curriculum called "Inventing the Future". Students will learn to become active citizens, envisioning the kind of future they want for their communities and providing action plans to support sustainable community development. Students and teachers from across the iEARN network can connect via discussion forums and two scheduled video conferences with a Lead Sustainability Educator from The Cloud Institute to discuss concepts of "community" and "citizenship" and their roles in creating a sustainable future. The program will conclude with an opportunity to present culminating projects to target specific milestones to achieve and possibly present at the 2011 iEARN Environmental YouthCaN conference. The achieved action plans and visions for a sustainable future will be compiled into an "Inventing the Future: Leadership and Participation for the 21st Century" booklet. Interested? Connect in the iEARN Teachers Forum. 4. INTERESTED IN USING MOVIES IN THE CLASSROOM? Join the The Seventh Art: Promoting Values and Behavior Project, bringing together teachers and youth around the world to exchange ideas and opinions about specific movies. Learn more and connect to the project forum on the iEARN Seventh Art Project Page. 7. TOMORROW'S LEADERS SCHOLARSHIP PROGRAM FOR STUDENTS IN MIDDLE EAST AND NORTH AFRICA. The Tomorrow’s Leaders Scholarship Program is a U.S. Department of State’s Middle East Partnership Initiative (MEPI) initiative for capable and highly motivated high school seniors in the Middle East and North Africa who are from underserved backgrounds. The program will provide four-year university scholarships and additional opportunities at the American University of Beirut, the American University in Cairo, and the Lebanese American University. Scholarship recipients may pursue an undergraduate degree in an eligible field at one of the three host institutions. Recipients will also be expected to engage in community service activities and participate in internships. Applicants are being recruited from Algeria, Bahrain, Egypt, Iraq, Israel, Jordan, Kuwait, Lebanon, Libya, Morocco, Oman, Qatar, Syria, Saudi Arabia, Tunisia, UAE, and Yemen. Please visit www.amideast.org/tl for eligibility requirements and the application information. 8. ADOBE YOUTH VOICES NATIONAL WORKSHOP AND EXHIBITION IN UNQUILLO, CORDOBA, ARGENTINA, OCTOBER 21-23, 2010. 70 people, including teachers and students, will be traveling to Cordoba from different provinces to attend the event, which is being organized by iEARN-Argentina/TELAR coordinators and educators. The event is being sponsored by the provincial Minister of Education, which is covering lodging and meals for all participants. Read more about Adobe Youth Voices. 9. HIGH SCHOOL JOURNALISM EDUCATION PROGRAM WORKSHOP, KUWAIT CITY, KUWAIT, OCTOBER 31-NOVEMBER 4, 2010. Educators from five schools in Kuwait will attend a week-long journalism workshop facilitated by faculty from Northwestern University in Qatar. The training will launch the MEPI-sponsored High School Journalism Education Program, which pairs schools with local journalist-mentors. During the workshop, teachers will discuss the tools and principles of digital journalism, and plan how to start or improve their school news publications. 10. MONGOLIA EMERGING YOUTH LEADERS WORKSHOP, ULAANBAATAR, MONGOLIA, NOVEMBER 8-10, 2010. iEARN-USA, in partnership with United Planet and the Mongolian Education Alliance (MEA), is hosting a three-day workshop for its Emerging Youth Leaders Program. Teachers from 10 schools across Mongolia will gather in Ulaanbaatar to train on community journalism and civic engagement. 11. ONLINE GLOBAL EDUCATION CONFERENCE, NOVEMBER 15-20, 2010. iEARN presentations include Teaching Peace through International Collaboration, One Day in the Life, Adobe Youth Voices, 21st Century Online Voices in the USA, Pakistan and Yemen, iEARN Online Summer Camp in Pakistan, Digital Imaging Across the Curriculum, and more! iEARN-USA is a partner in the event. See a list of the different strands for the conference. 12. iEARN-TAIWAN TO HOST THE 18TH ANNUAL iEARN CONFERENCE AND 15TH ANNUAL YOUTH SUMMIT, JULY 17-23, 2011. The theme will be "Green Tech, Green Life, Great Era." iEARN-Taiwan announces "We are thrilled to invite all to Kaohsiung, Taiwan to join the 18th International Conference and 15th Youth Summit. Taiwan is a beautiful island with environmental and cultural diversity. Our foods, night markets and fruits are something you don't want to miss! 2011 iEARN Annual Conference will be held in the 2nd biggest city of Taiwan, Kaohsiung City. Kaohsiung is a charming harbor city with its hospitable citizens, pleasant subtropical climate and gentle ocean breeze. Come to explore the passion and vitality of Taiwan!" See a video preview, download a brochure, and stay tuned to the 2011 iEARN Conference Website for details. 13. iEARN NATURAL DISASTER YOUTH SUMMIT 2011 TO BE HELD IN CONJUNCTION WITH iEARN CONFERENCE AND 15TH ANNUAL YOUTH SUMMIT, JULY 17-23, 2011. Learn more about the Natural Disater Youth Summit Project. 14. iEARN TEACHER WORKSHOP IN DHAKA, BANGLADESH, OCTOBER 8-9, 2010. iEARN-BD organized a 2-day Teachers' Training Workshop at Oxford International School. Meet the new educators in the iEARN Teachers Forum. Check out new iEARN Adobe Youth Voices media!